"It's almost like I don't know who that person was…" "I remember her really well." This seems quite charming. 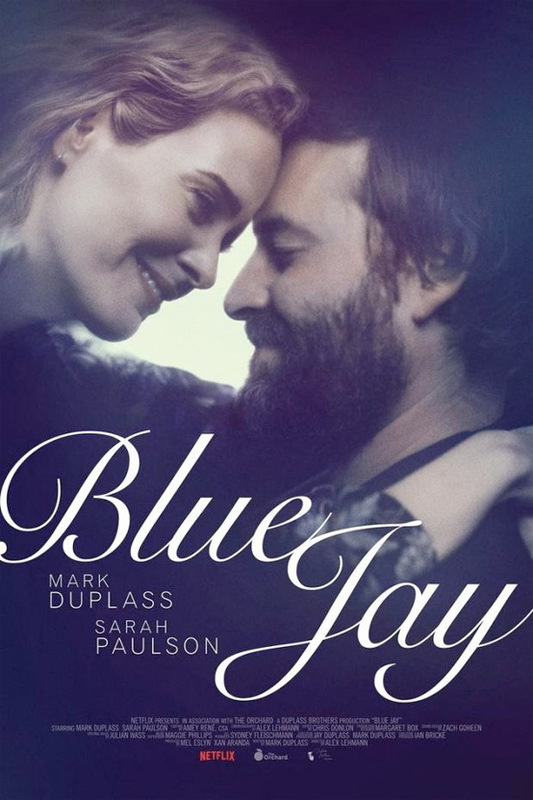 The Orchard has debuted a trailer for an indie drama titled Blue Jay, a black & white feature about two old friends from high school who randomly reconnect years later. The screenplay is written by Mark Duplass, who stars in this along with Emmy winner Sarah Paulson. These two used to be high school sweethearts but haven't seen each other in nearly 20 years. This seems like the perfect little festival film that makes you think about life and your own choices and what it means to grow up. We've seen these kind of stories before, but as long as there's honesty to them I enjoy them. I'm looking forward to this film. Former high school sweethearts reconnect after 20 years when they unexpectedly run into each other in their hometown. They spend the day together, sharing stories and rediscovering old feelings, as well as a big secret from their past. Blue Jay is the feature directorial debut of filmmaker Alexandre Lehmann, a camera operator and cinematographer jumping into directing. The screenplay is written by filmmaker-actor Mark Duplass, who also wrote Jeff Who Lives at Home and "Togetherness" recently. This just premiered at the Toronto Film Festival this month, and will also play at Hamptons Film Festival before opening. The Orchard will open Lehmann's Blue Jay in select theaters starting October 7th this fall. Anyone interested? Becoming an adult is as simple as forgetting how to be a kid.